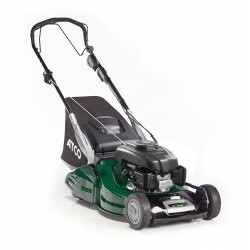 This ATCO 15E is a hand-propelled electric lawn mower with a rear roller. It features a cutting width of 38cm/15" and has 6 preset cutting height adjustment settings between 25mm and 75mm. A premium ATCO roller rotary mower powered by a Honda GCV190 Autochoke engine. Made with a robust hybrid steel chassis with an anti-scalp comb in the front. 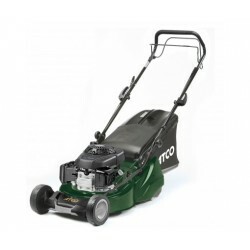 The ATCO Quattro 19SH is a self-propelled petrol lawn mower with a 48cm/19" cutting width. 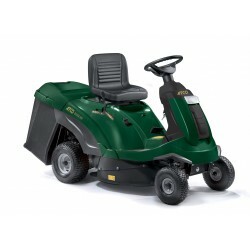 Powered by a Honda GCVx145 engine, it is suitable for a lawn size up to 40m2. 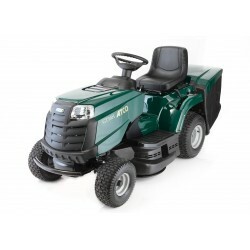 This Atco Quattro 22S V is the new flagship mower from Atco! 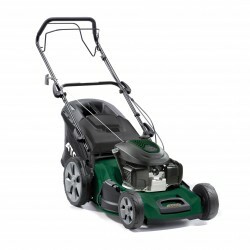 Packed with wonderful innovations to help make it the ultimate mowing machine!